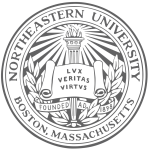 Northeastern University (NEU), founded in 1898 as a higher education institution to educate working class communities, is a leader in interdisciplinary research, urban engagement, and the integration of classroom learning with real-world experience. The University offers a comprehensive range of graduate programs including 90 masters and professional degrees, and 25 doctoral degrees, to 3500 graduate students in six colleges, eight graduate schools, and two part-time divisions. Approximately 15.6% of the student body is comprised of underrepresented minorities (URM). 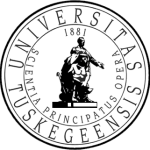 Tuskegee University (TU) is a national, independent, and state-related institution of higher learning, rooted in a history of successfully educating African Americans. TU is ranked among the top historically black colleges and Universities (HBCUs) for producing graduates with doctorates in science, and top tier of Best Universities for awarding M.S. degrees (NSF, U.S. News & World Report). 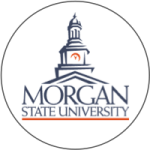 Morgan State University (MSU) is the largest of Maryland’s historically black colleges and universities (HBCU). Located in urban Baltimore City, MSU’s student body is largely comprised underrepresented minorities, who constitute over 68% of the population of Baltimore City. In 2013, 82.2% of the student body was African American. MSU offers 30 MS degree programs and 10 PhD programs. MSU is ranked 4th for the number of doctorates awarded to African Americans and 7th for doctorates awarded in engineering (NSF). 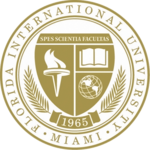 Florida International University (FIU) is a national leader in the education of Hispanic students, awarding nearly 12,000 degrees per year. With an undergraduate student body comprised of over 60% Hispanic, FIU is ranked 1st in the nation for the number of bachelor’s and master’s degrees awarded to Hispanic students and 5th for the number of doctoral degrees awarded to Hispanic students (U.S. News and World Report). 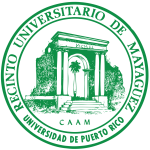 University of Puerto Rice Mayaguez (UPRM) is the largest Hispanic serving institution (HSI) Engineering School in the nation. According to ASEE 2013 Survey, the institution ranks 1st in the number of BS degrees awarded to Hispanics, 20th in the nation in number of Engineering BS degrees granted to women (and 5th in percentage) and host the 11th largest Engineering student body in the US with 4,367 undergraduates. The institution serves over 12,800 students, many of them low-income, first-generation.